Kentucky residents may soon be able to carry a concealed handgun without a license, background check or training. The Kentucky House approved a Senate bill on Friday that would let residents do just that. The bill — which passed 60-37 in the House — is backed by the NRA. The organization says roughly 10 other states have adopted similar bills. 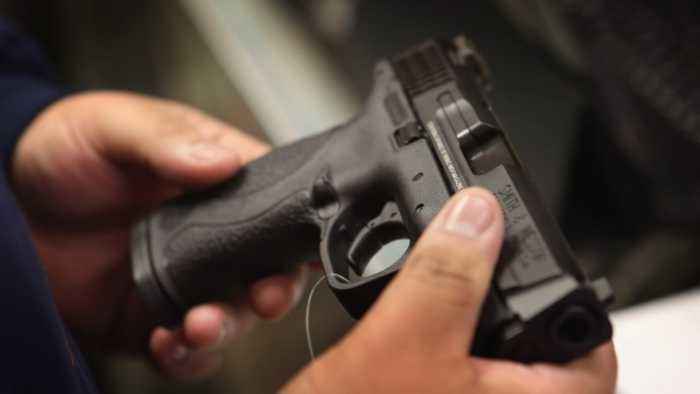 Supporters of the legislation say it's not only a recognition of the right to bear arms — losing the requirements could also improve access for people who can't afford the license fee or don't have time to take the class. But not all gun advocates agree it's worth it. One gun permit instructor told the Lexington Herald Leader the bill is "the dumbest thing I ever heard. This would put every one of our police officers at risk." The Kentucky State Fraternal Order of Police also opposes the legislation. Currently, Kentuckians can carry a firearm openly without a license, but have to pay a fee and attend training to carry a concealed weapon. Next, the bill heads to the Kentucky governor's office. If it's approved, anyone 21 or older who meets other gun ownership requirements could concealed-carry.